The Grillbot Is A Grill Cleaning Robot | OhGizmo! By David Ponce on 02/21/13 • Leave a comment! iRobot may disapprove of this usage of their trademark, but we don’t care and we’ll just say it: there’s a Roomba for everything these days. The Grillbot, although not at all associated with iRobot or the Roomba, performs much the same task that the carpet cleaning bot does, only on your BBQ. Equipped with a set of rotating bristle brushes, the single-button operated machine gets to work on caked on grease and grime, taking the grunt work out of your summer feasts. Or at least, some of the gruntwork. After a few minutes of driving around randomly, the grill will be clean and ready to barbeque another day. 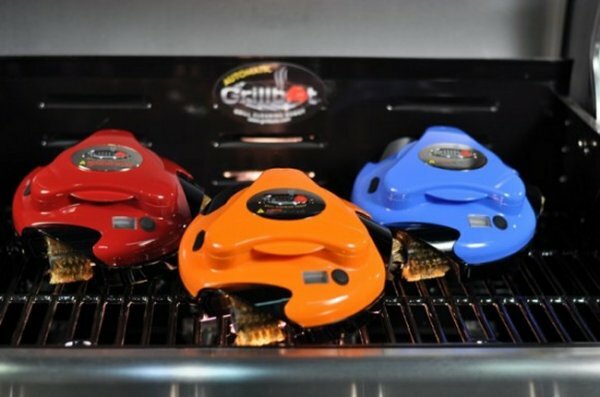 Expected to hit the market in mid-June, the Grillbots will cost $70 for the base model and $100 for a premium version which will have unspecified extras.